The author is a scholar of strategy and security. The history of communist party is as long as the history of democratic Nepali Congress. Both parties came into being in the late 1940s. It is said that BP Koirala—the founding member of Nepali Congress who propounded his own model of socialism to suit Nepal’s socio-economic condition of the time—was initially inspired to become a communist. Later, he founded NC to democratize Nepali politics and to abolish authoritarian Rana rule. The communists like Puspa Lal Shrestha followed suit but their movement against Rana rule was not as vibrant as NC’s. In the first general election of 1959, the communists fared poorly. When King Mahendra ousted popular government of BP Koirala in 1960, communists entered the monarchical cabinet in a planned way. Most Russia-aligned communists got lucrative posts compared to Chinese Maoists. The rebel NC leaders like Surya Bahadur Thapa, Biswa Bandhu Thapa and Dr Tulasi Giri were among the leaders used by the king. The repressive Panchayat regime consolidated its power mostly because the communists along with rebel Congress stood in support of suppressing infant democracy for which popular leader BP Koirala had fought so hard. Fast forward to 1990, Nepal was to witness similar situation. Most Nepalis thought that restoration of multi-party democratic would lead to development and prosperity. NC was overwhelmingly voted by people and communists were shunned. But things went wrong when Girija Prasad Koirala, BP’s younger brother, took a repressive approach against opponents and ignored the popular wish. Rule of law was manipulated, political meddling in public institutions was rampant and he invited open confrontation with communists as Prime Minister K P Oli is doing with Nepali Congress today. Consequently, the state repression compelled the Maoists to pick up arms against the state, which led the country to a decade-long bloody armed rebellion. Will the protests sparked by Dr Govinda KC’s hunger strike for reforms in medical education lead the country to similar situation? Time will tell. The peace process that started in 2006 has not yet been logically concluded as a number of transitional justice issues are yet to be resolved mainly because the parliament has not been able to amend the Truth and Reconciliation Act. Likewise, medical education reform has generated nationwide consciousness and people are siding with Dr KC. The government of K P Oli does not seem willing to address Dr KC’s demands. Instead, it looks bent on granting affiliation to medical colleges that lack sufficient infrastructures and capacity. Oli has openly stood in favor of medical mafias. His government has failed to end syndicate in transportation sector. He is said to have halted investigation in gold smuggling case when investigating authorities were getting close to the kingpin. He has also stopped investigation on NGOs, some of which are accused of abetting international money laundering. He is also blamed for centralizing power against the spirit of federalism and autonomy of local governments. He seems averse to intellectuals. This reflected in his insulting treatment to vice-chancellor of Nepal Sanskrit University. This suggests that Oli’s government is moving toward autocracy. It seems we have come full circle since 1990. 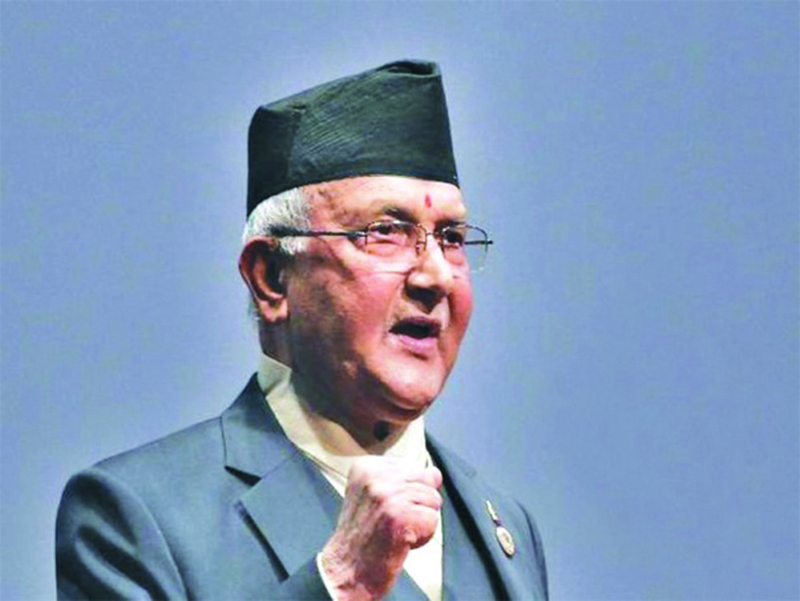 It was GP Koirala who adopted repressive steps against opponents, now Oli is doing just that. Oli had inspired people initially. He won the election as a result of his stand against Indian hegemonic influence in Nepali politics. The constitution grants him enough power to work for the people. But he failed to take people into confidence once he rose to power. He has broken the promise that he had made with the people. He is surrounding himself with the people who do not want to see him succeed. He has wrongly handled Dr KC’s peaceful agitation. Instead of making it affordable and accessible to all qualified Nepalis, he wants to keep medical education within the reach of the rich and powerful. In most countries, the state runs education and medical sectors by itself, but in Nepal the government is trying to take the opposite course. If Oli goes this way, the days ahead for him won’t be easy. GP Koirala is largely perceived as mishandling democracy. If Oli fails to maintain his former image, he will be seen as spoilsport of present day politics. Failure of a party or few leaders may not adversely damage the country in the long run, but it will definitely waste precious times of the country and erode confidence of people. This will push development agenda to the backburner. There were hopes and expectations when Oli became the prime minister in February. Enthusiasm was high in the initial stage when he decided to abolish syndicate in public transportation. But all the enthusiasm and hope have diminished after he mishandled Dr KC’s reform agenda. If he does not mend his way and discipline his cabinet colleagues, people might soon stand against the government for which they had voted overwhelmingly a year ago.